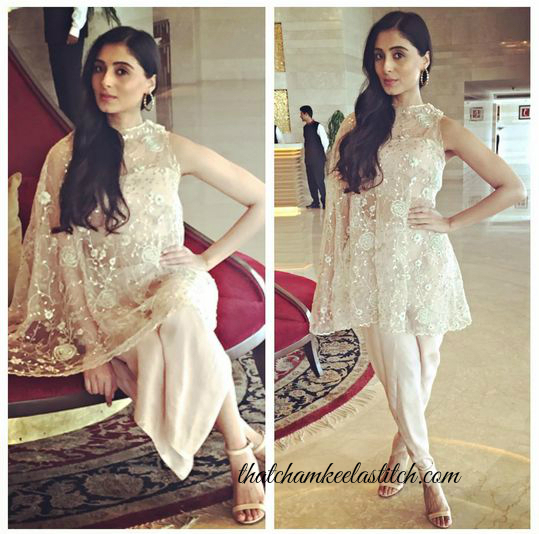 Pernia Qureshi recently made her debut with ‘Jaanisaar’ and we loved her looks while while she was on promotion duty! She was so on point with all trends! 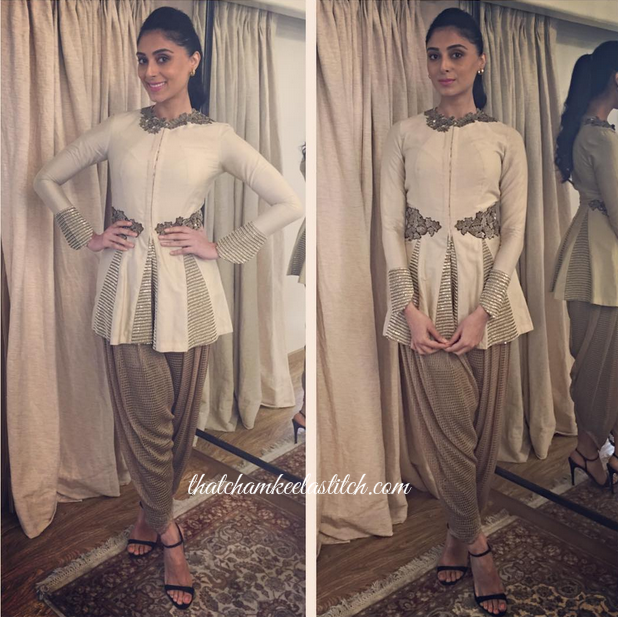 While the movie released last month, it’s never too late to look at some gorgeous Indian outfits, is it? Let’s start with the florals – Floral floor length anarkali and floral lehenga. She even gave us three sightings of lovely palazzo suits. How could the cape be left out? No way that’s happening! 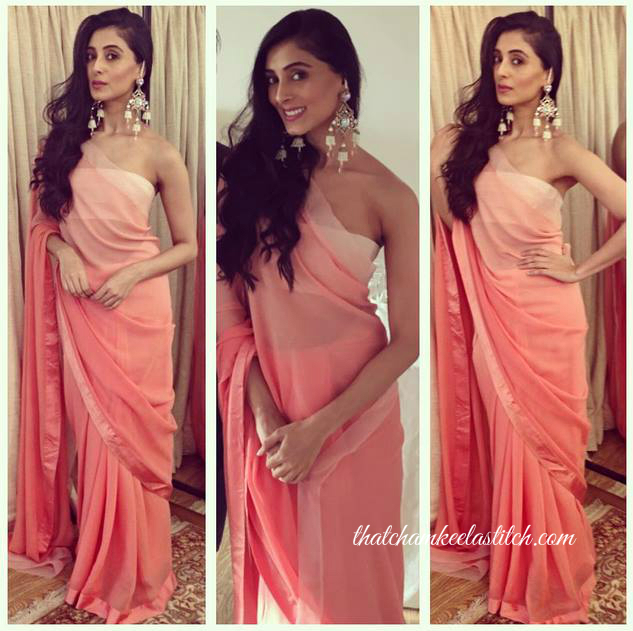 Loving this simple ombre saree. 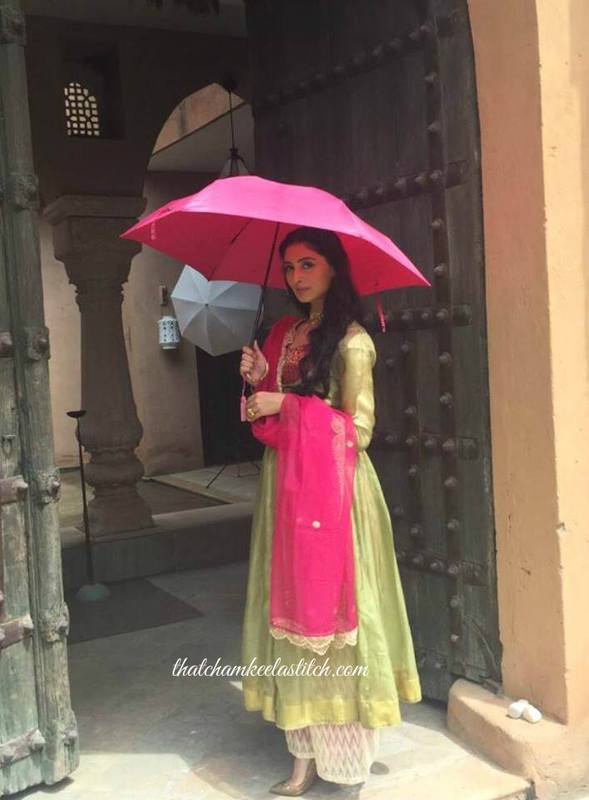 The essential piece in every Indian wardrobe – the anarkali. She wore two lovely ones. Especially digging the pink chikankari one! And of course, classic lehengas. But she didn’t leave out the unusual silhouettes either. 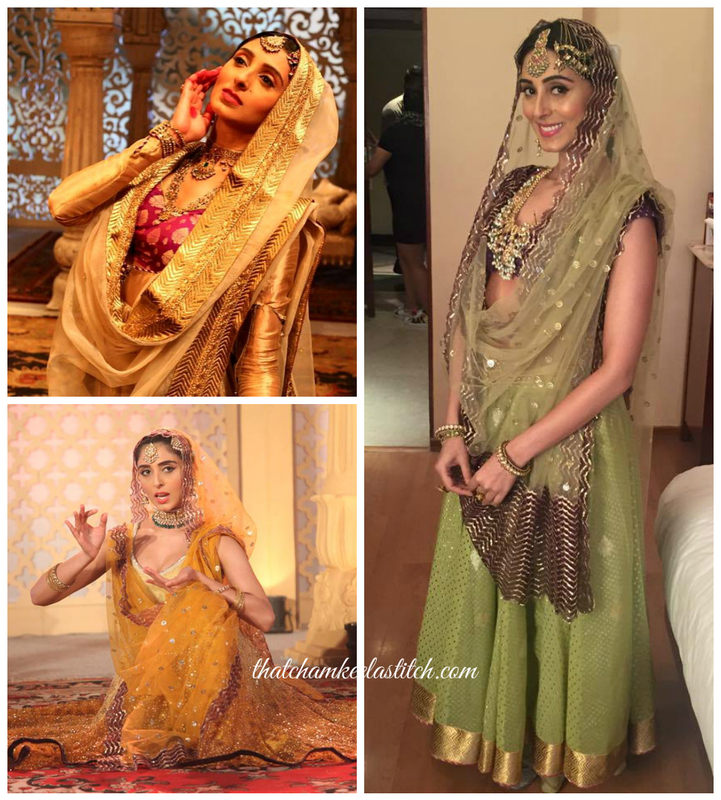 To finish this post off, we’re leaving you with some gorgeous outfits from her “in character” appearances in the promotions – gorgeous, Mughal, Kathak anarkalis. 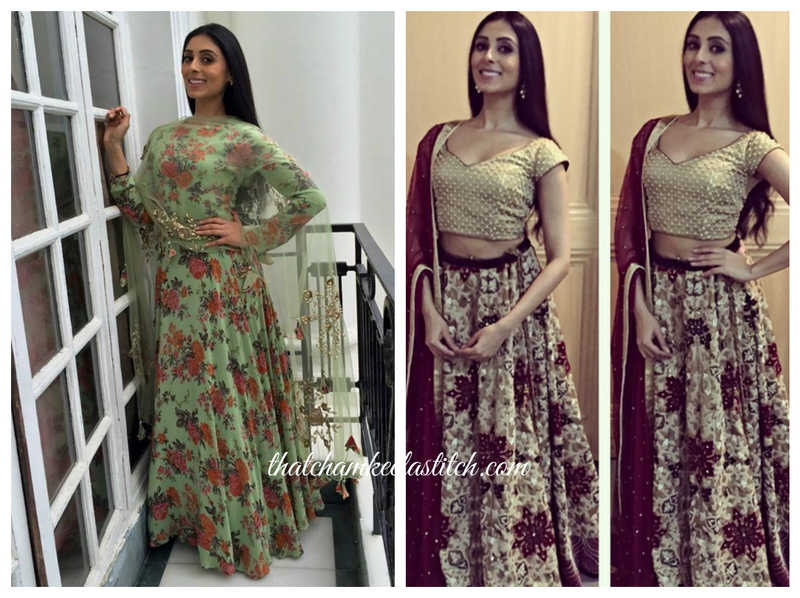 This entry was tagged anarkali, cape lehenga, desi fashion, fashion, floral anarkali, floral lehenga, indian fashion, jaanisaar, lehenga, orange lehenga, palazzo suit, pastel blue lehenga, pernia quereshi. Bookmark the permalink.